I know that maybe it sounds like a duplicate but it isn't because I see that the other questions describe totally different situations than mine. Apart from the other users, I don't have a Windows partition on my netbook (yes, I am a newbie but I had the courage to "forget" about Windows) and I don't have any CD-RW drive on it. So I don't need to scan my Windows partition from Ubuntu neither I can use any Antivirus CD like some people recommend. My problem is, I hope, simpler. I use a lot of flash drives to store data, and I have used it since my "Windows times". But now I have become unaware of the possible viruses that can be "stored" on it. Yesterday I have plugged in several of my flash drives on a freshly installed Windows XP system with an up-to-date Avast! Antivirus on it, and the antivisrus has discovered a dizzying number of viruses on my flash drives! While this doesn't affect me, it may affect others, because all of my friends are Windows users and they always call me to help them solve PC-related problems. So, I can't go to them and, unwillingly, "flood" their systems with viruses instead of helping them. So I really need to keep my flash drives clean just in case. Note. I don't think that using a Windows system to scan them is a good solution, although it might sound to be the easiest and most obvious. My mother's PC runs Windows XP but is an old PC, tricky and unreliable because it falls all the time. ClamAV is not an option for me as I have a very bad experience related to it. I have used it in the spring to scan a Windows partition (on a dual boot PC) and the result was a total mess and I had to reinstall both operational systems again. Since that day, I simply hate ClamAV as I am convinced that it erases even good and clean files and all it does is just a mess. So, if you have a a solution apart of those two and keeping in mind my lack of CD drive, then your advice would be very much appreciated. Suggest installing BitDefender for Linux which offers a free personal use license. If it is just the flash drives you want to wipe of the viruses, just copy the files (the ones you know which don't contain viruses) off them, and use GParted to wipe them. Then go to Device, and Create Partition Table.... Set to make a msdos table, and click Apply. 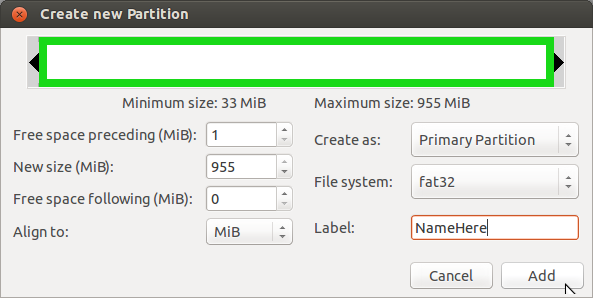 You can then create a new FAT32 partition, so that it will work with both Windows and Linux. All this should effectively remove all date from the memory sticks, making sure there are no viruses. You could install an antivirus product on Ubuntu such as Comodo Antivirus For Linux (Free) or the previously mentioned ClamAV (Free), or you could install wine and setup an antivirus product inside of it such as Symantec Endpoint Protection (not free) or Comodo Internet Security (Free), just make sure to disable any kind of auto-scan capability (if possible don't install it to begin with). You will of course have to enable access from wine to the usb stick via wines virtual letter drives. Based upon my logical inference, I have reached to a conclusion (I might be wrong) that since (in her own words) she only sees what she put on those drives, IMHO, i don't think her system/Linux is any how infected. You see, these Trojans, viruses, Malwares etc. programmed for windows environment are generally of .exe format. As soon as you put them inside a foreign environment like Ubuntu , they can't get executed by themselves and remain in a docile state. There is also very less probability (rather no way if you ask me) that they can remain hidden by default in any Unix based system. (They are programmed/written such way to remain hidden in Windows, so that they can propagate further), but can't stay same in Unix. So, as she mentions, all of her friends are Windows users I guess as soon as she plugs in the drive in their system, these, Trojans/viruses etc. already present in their systems, infects her pen drive as well. (Its relatively easy to guess as the probability of a Windows system getting infected is much more higher than a Unix System). Also, relatively, the chances of getting a pen drive infected by any *Nix system for Windows Os are pretty low. There is no way a *Nix System can infect a pen drive in such a way that as soon as you plug your drive in Windows Xp and scan it with anti-virus, it recognizes virus or malware. That is not linux behavior. Linux is not designed that way, Security is at its very core. So, what I would rather suggest is that IMHO, your Linux environment is 100 % safe, its when you hop your pen drives from 1 system to other (of your friends) where it gets infected. I wont say don't do it, but my solution will be to rather going to stupid OS and Stupid anti virus, insert USB in Linux(Ubuntu) environment , Let it auto-mount, delete all those files which you haven't put or recognize. Lo and behold, I can guarantee you try scanning that pen-drive/media in that Anti Virus of yours. Bingo ! Virus Free. Hope that helps. Not the answer you're looking for? Browse other questions tagged 12.04 usb-drive antivirus malware or ask your own question. Can I use several antivirus apps in the same time? 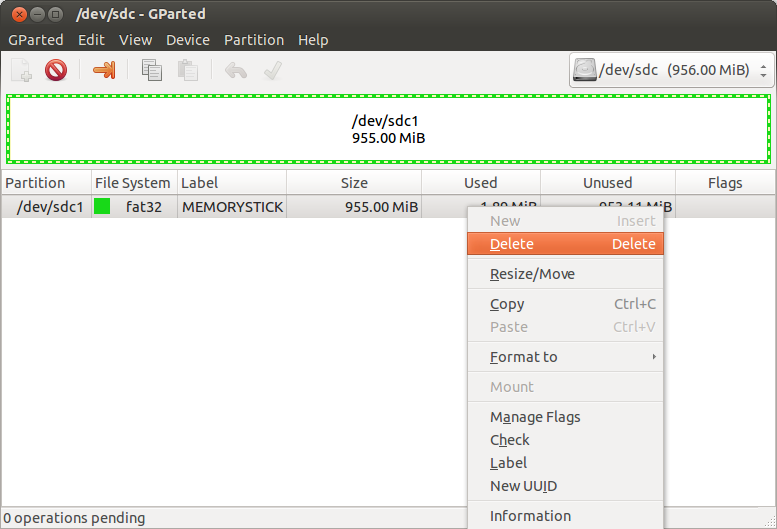 How do I scan my windows partition for viruses from Ubuntu? Is it a good idea to scan external HDD with Ubuntu? ClamAV shows 3 infected files - what to do? What are the best antivirus soloutions for scannining USB drives for Malyware and Viruses?